Avoid the crowds and take advantage of VIP Private Shopping on Friday morning. The Junior League of Denver Mile High Holiday Mart is the premier holiday show in the Denver area and has been a fall tradition for nearly four decades. All proceeds from this unique and exclusive shopping experience support the League’s mission of developing the potential of women as well as our community focus, improving literacy rates and providing access to books for children through the third grade in the Denver metro area. Since the first League-sponsored “Christmas Mart” was held in 1980, this event has helped raise more than $5.9 million in support of projects in the Denver community. Browse the wares of more than 100 one-of-a-kind merchants while giving back to the Denver metro community. 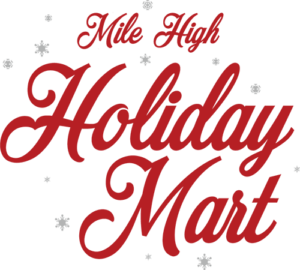 The 2019 Mile High Holiday Mart application process is now open! If you are interested in applying to become a merchant for our 2018 Mile High Holiday Mart, please create a merchant profile. After you create an account, or if you’re a returning merchant, please log in to access the application. You may also email jldmerchantsholidaymart@gmail.com with any questions. Have a question for the Merchant Committee?